Why Wait When Wolves Want Wise Well-Wishers. Okay, in the picture, it looks like she’s being licked by a dog. But trust me, that’s NO dog. It’s a real grey wolf. In the woods. Walking with my friends and me. Woman meets Scrappy Dave, one of the wolves on a guided wolf walk through the forest with Northern Lights Wolf Centre, a wolf rescue and education center in Golden, BC. It was part of our morning at Northern Lights Wolf Centre just outside Golden, BC, Canada, where we learned about wolves and definitely got close and personal. 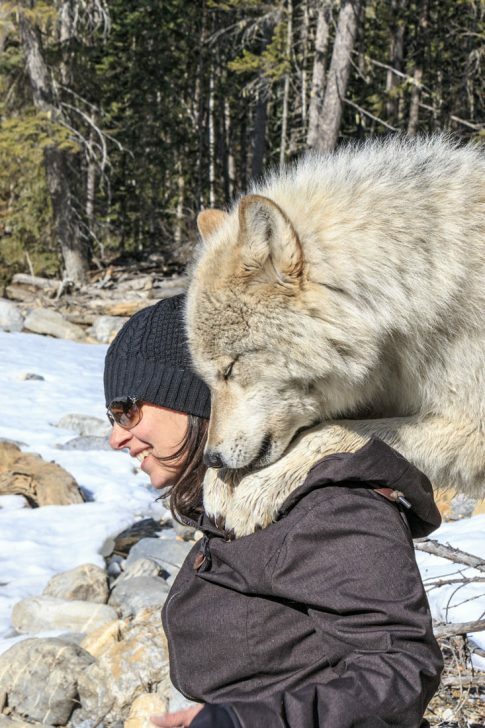 Shelley Black and her husband Casey have been raising wolves for nearly two decades. Their aim is not only rescuing abandoned wolf cubs but educating the public. “There’s so many misconceptions about wolves,” Casey told us. For one, they really don’t lurk around woods just waiting to eat people. They’d rather avoid people. But thanks to a lot of fiction where hapless folk are forever being devoured or myths that are really morality tales warning women of attacks by men (Little Red Riding Hood, for one), there is an ingrained public fear of wolves. 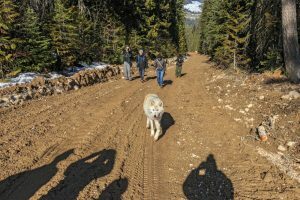 There are many wolf rescue/education centers around North America but only a handful that let you actually walk with the wolves and interact with them. And so, we gathered one late winter morning at Northern Lights Wildlife Wolf Centre to learn, prepare, and walk. The wolves have been exposed to people from birth and are used to walking with visitors. Scrappy Dave and Flora, our wolves that day, had come from a zoo that had too many wolves. They were brought to the center in Golden when only a few days old. So, like all the wolves here, they are totally used to people. When not out in the woods on wolf walks, the wolves live in acre enclosures, two each to an enclosure. But these ARE wild animals. For that reason, Shelley and Casey explained, the walk is totally on the wolf’s terms. “We don’t approach them but if they come up to you, you can touch them.” (um, more about that later). Don’t spin away because they see that as a game. Don’t kneel down. Kneeling is a sign of aggressive behavior in the Canidae family. Keep your hat on and if you take your gloves off don’t think you can just hold them. Scrappy Dave will grab them. And they’re gone, lost in the woods. Forever. 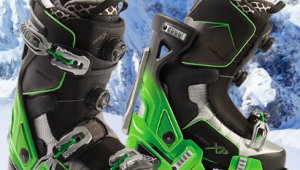 Best to just keep them on. 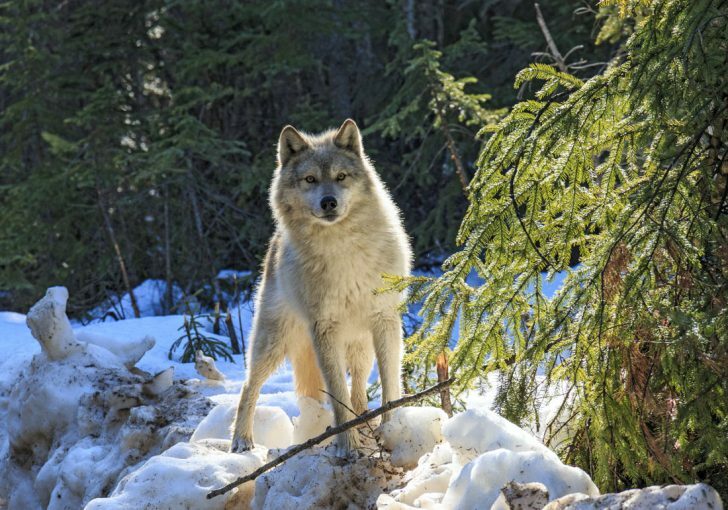 One of the more interesting facts is that wolves don’t need to run; they aren’t sled dogs. They’re actually quite lazy, which in the wild is a survival tactic to conserve energy. With all this in mind, we headed for the woods. We walked down a logging road a few hundred yards when suddenly, Flora, all 60 pounds of her, trotted up to me and raised up on her hind legs. She was almost as tall as me as she leaned in, put her huge, muddy paws on my shoulders and sniffed my face. She was saying hello in wolf talk. She did that to one of my friends, though on her back, leaving muddy paw prints that looked like a painted design. And I’ve got the pictures to prove it. At this point, it was time for our “wolf moment,” which involved standing next to a tree stump while Scrappy came up from behind and did his best to lick us into oblivion. All I can say is, who knew wolf tongues were soooo soft and warm. One could point out that this whole adventure was staged and quite artificial. 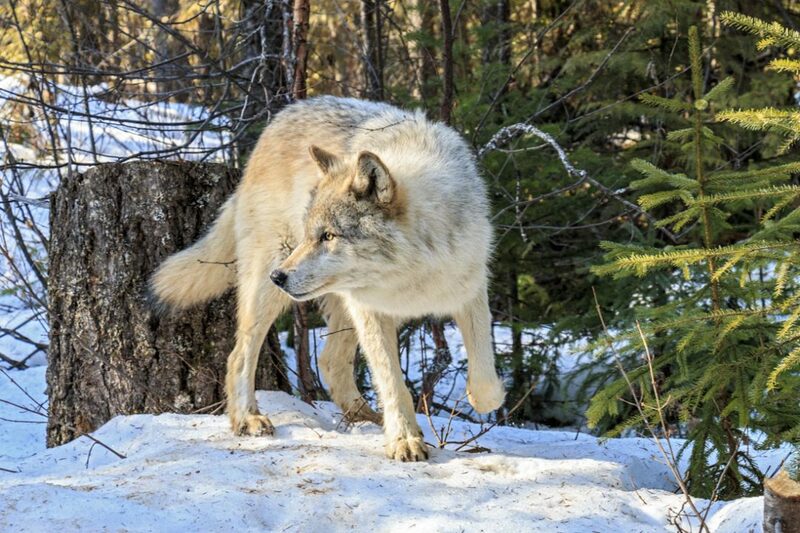 But the purpose, Casey and Shelley said, is to let people know the wolfs’ place in the environment and, especially, to let people know wolves don’t have to be universally feared. Northern Lights Wildlife Wolf Centre is a 15 minute drive from Golden, BC. The programs are open year round. 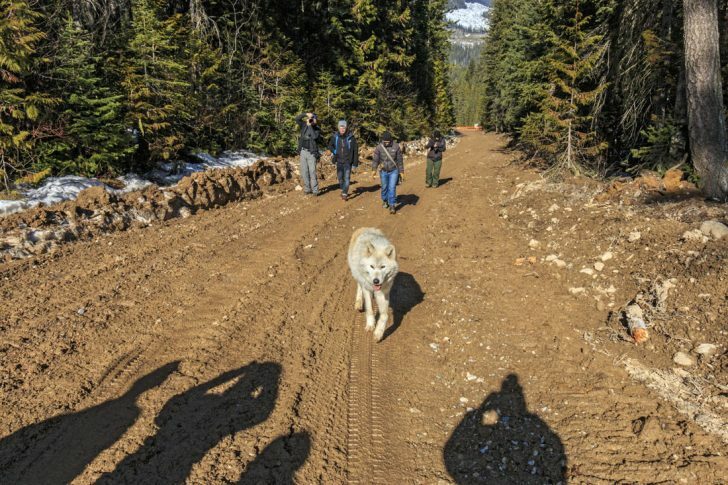 There’s a talk led by a guide where people walk around the edge of a fenced wolf enclosure. It is open to all ages. The Wolf Walk age limit is 16 and above, lasts most of a morning or afternoon and costs $335 CDN for two people. The interpretive talk at the center is $12 CDN for adults, $35 CDN for a family of four. I have wanted to go to Yellowstone during “wolf sighting season” and now I think this might be much better. It is on my list and having read much about wolves I so totally agree on their myths of the past. Thank you for this wonderful story you have shared. 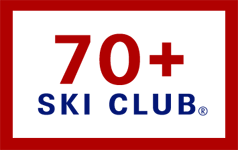 By the way many years ago I skied Whistler prior to gondola to Blackcome and hope to put wolves and skiing together in the future.